In depth detail can be found here about the design of the station buildings. 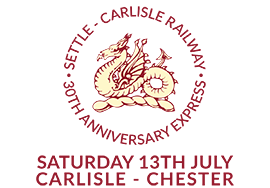 This is the feature that most typifies the character of the Settle-Carlisle line, giving it a strong and consistent visual identity. Station nameboards and miscellaneous signs. Each of the plans shows the position of the station in its surroundings. The area outlined in bold indicates the area in the possession of Network Rail and leased by the Train Operating Company. Appendix 7 – Details Sheets (sometimes referred to as CAP sheets).